Versailles’ Lindsey Winner shoots over Parkway’s Claire Eichler during a Midwest Athletic Conference game on Thursday in Versailles. 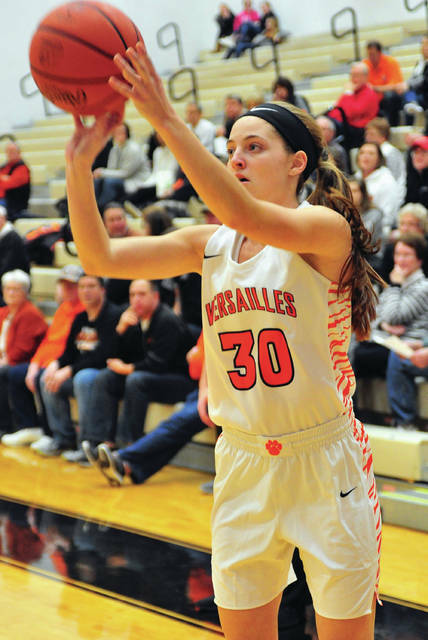 Versailles’ Liz Watren shoots during a Midwest Athletic Conference game against Parkway on Thursday in Versailles. 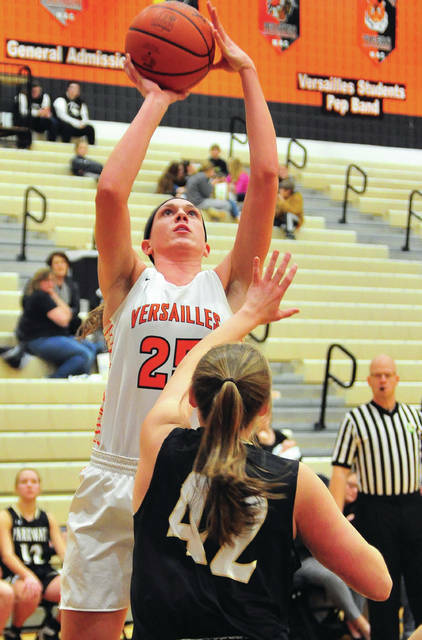 Versailles’ Caitlyn Luthman shoots a 3-pointer against Parkway during a Midwest Athletic Conference game on Thursday in Versailles. 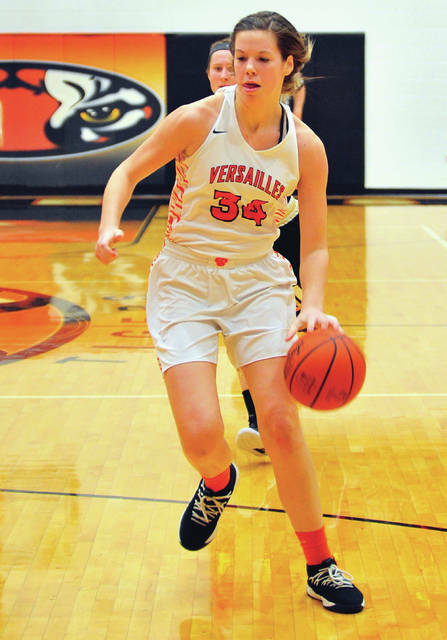 Versailles’ Brooke Stonebreaker dribbles during a Midwest Athletic Conference game on Thursday in Versailles. 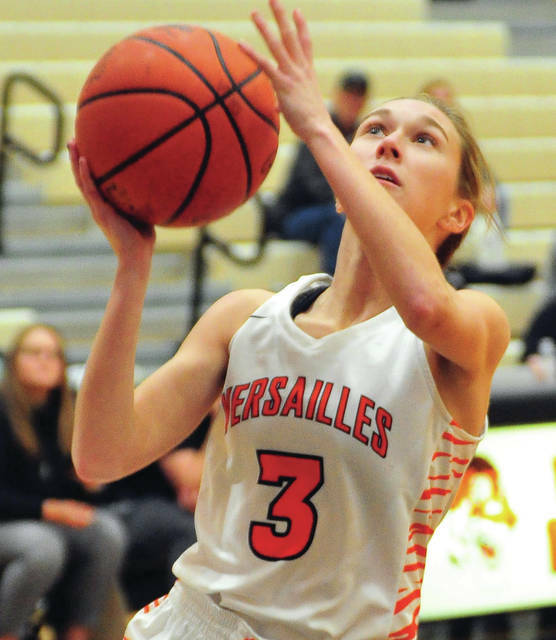 VERSAILLES — In a matchup with Parkway Thursday night in Midwestern Athletic Conference action, Versailles girls basketball coach Jacki Stonebraker wanted to see one thing from her team. The Tigers set the tone early and often Thursday. Caitlin McEldowney opened the game’s scoring with a 3-pointer. Lindsey Winner and Liz Ording followed with baskets inside, before a 3-pointer by Hannah Barga. Versailles was 29 for 58 from the floor for 50 percent and 8 for 18 from the line for 44 percent. Parkway was 9 for 40 from the floor for 23 percent and 2 for 6 from the line for 33 percent.